Have I mentioned that Thanksgiving is one of my favorite holidays? 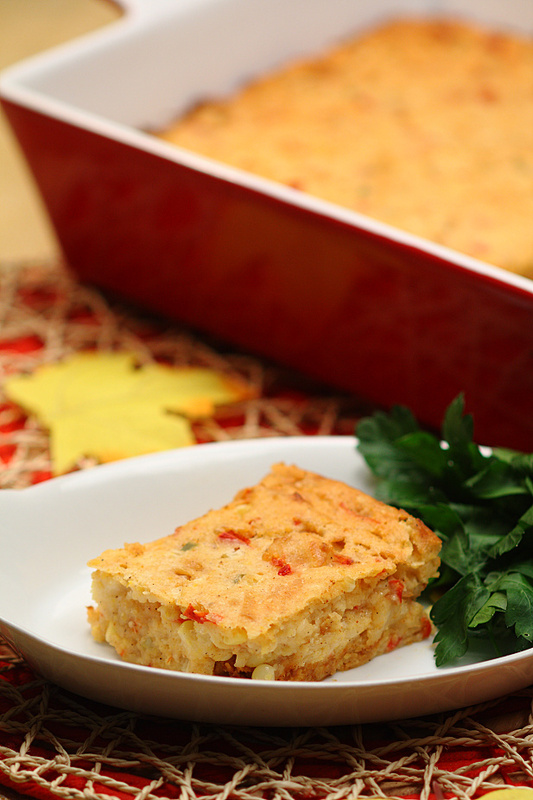 Fall has so many wonderful flavors and Thanksgiving is a celebration of them. My family has the biggest Thanksgiving feast I’ve ever seen with dishes to please every palate. Oh… and the casseroles! The Midwest is known for their casseroles and there are usually about half a dozen to choose from at my family’s annual buffet. And the casserole that gets gobbled up the fastest? 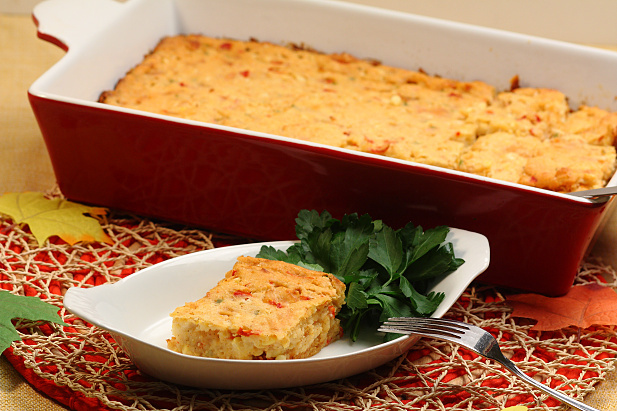 None other than that Southern classic – corn casserole. 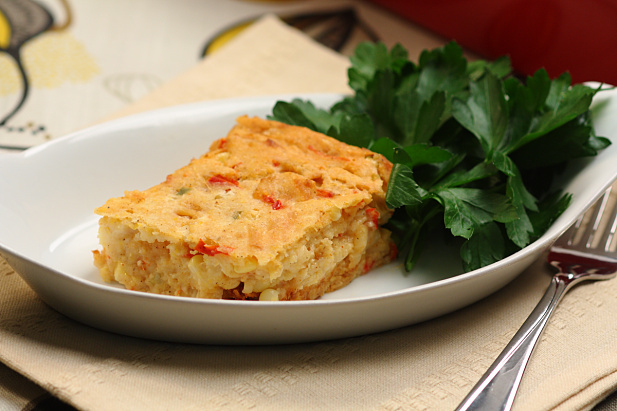 You may have heard about, seen or even tasted the famous corn casserole. It’s basically a requirement on Thanksgiving and nothing says down-home quite like it. It’s a fairly simple recipe that families have been making for generations in their humble kitchens. I speculate that it’s become more popular in recent years due to Southern cooking icons like Paula Deen and Pat & Gina Neely, not to mention sharing on social media. The classic recipe calls for a package of Jiffy corn muffin mix, 1 can each of regular corn and creamed corn, eggs, butter, sour cream and cheese. 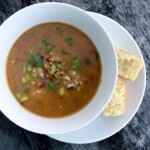 Now of course I not only had to make this recipe healthier, I had to change it up a bit. 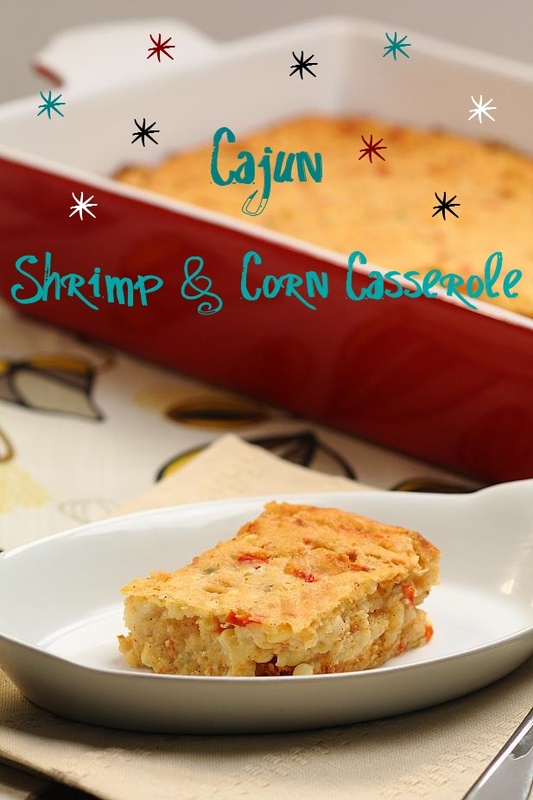 My husband is a huge fan of Cajun food and since those rich spicy aromas go so nicely with shrimp and corn, I thought they just might have a good time partying together in this casserole… Boy was I right! Since I loathe canned vegetables other than pumpkin, I used fresh corn but you could certainly use frozen and thaw it. I also swapped out the Jiffy mix for Bob’s Red Mill cornbread mix because I try to avoid processed foods when I can. Bob’s mix just happens to be gluten-free as well! And of course I switched out greek yogurt in place of sour cream because I pretty much use that for everything. If you wanted to go with a full vegetarian version, just omit the shrimp. 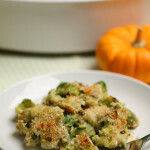 I am loving this twist on the classic and it just may make a regular appearance at my Thanksgiving table. Heat the olive oil in a large skillet over medium heat. Sauté́ the onion, bell pepper and jalapeno in the oil 3-4 minutes, until onions begin to soften. Cut the shrimp into bite-sized pieces. Add shrimp and Cajun seasoning to the onions and peppers along and sauté́ an additional 5 minutes, until shrimp is opaque. Remove from heat. Puree 1 cup of the corn in a food processor. 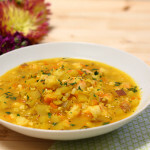 Combine the pureed corn and remaining corn in a large bowl with the remaining ingredients and the shrimp mixture. Stir well. Spray a 9×13 baking dish with an oil mister or cooking spray. Pour the mixture into the dish and smooth out the top. Bake, uncovered, 55-60 minutes, until edges are golden. Let sit a few minutes before cutting. Thanks, Tamera. The cajun spices really add a lot of zing. YUM! 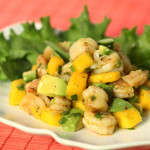 I love cajun seasoning and make a similar recipe but it excludes the shrimp. 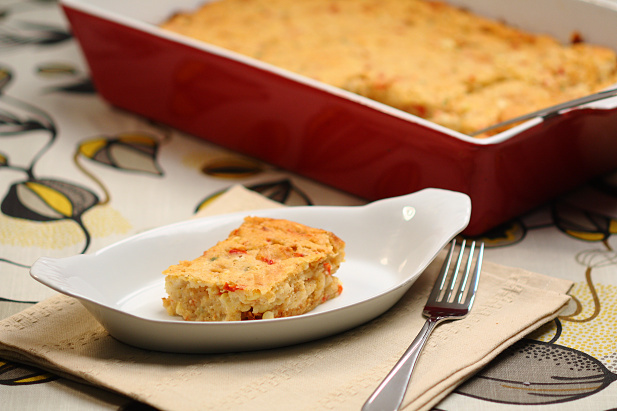 The sweet cornbread and savory cajun seasoning is a match made in heaven! 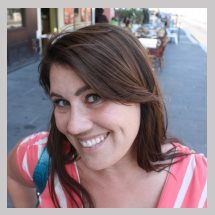 Christina, I bet this is as popular with your family as it is with mine! 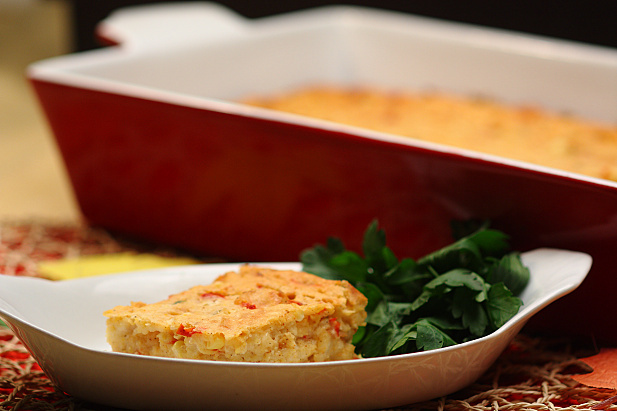 You are certainly free to make your cornbread from scratch! In fact, I encourage it. My thought was to take a couple of shortcuts where I can without compromising the ingredients.